Previously we covered human body part models we carry, today we will show more models that have more detail of joints, organs, etc. This relief model depicts both exterior and interior details of four different human bone structures. Includes the femur, trabecular/spongy bone, compact bone, and blood vessels. It measures 16.5″ x 12″. This model depicts a section of human skin and is enlarged 70X. The epidermis, dermis and subcutaneous layers of tissues are shown in great detail. Representations of sweat glands, hair follicles, receptors, motor nerves, blood vessels, sebaceous glands and fatty tissue are also shown. Mounted on a base. This life-size model depicts the mechanics and detailed anatomy of the human shoulder and provides a great opportunity for student and patient learning. This model features portions of the clavicle, humerus, and shoulder blade as well as the glenohumeral and other ligaments that connect each to one another and allow movement. This life-size model depicts the detailed anatomy of the human elbow joint and provides a great opportunity for student and patient learning. This model features the distal portion of the humerus and the proximal portions of the radius and ulna as well as the smooth articular cartilage and surrounding ligaments. Telescope Tips: When Buying a telescope, Don’t ask “How Far Can I see?”. We’ve sold a lot of telescopes to beginning astronomers, and one question that gets asked almost every time is: “How far can I see with this telescope?’. 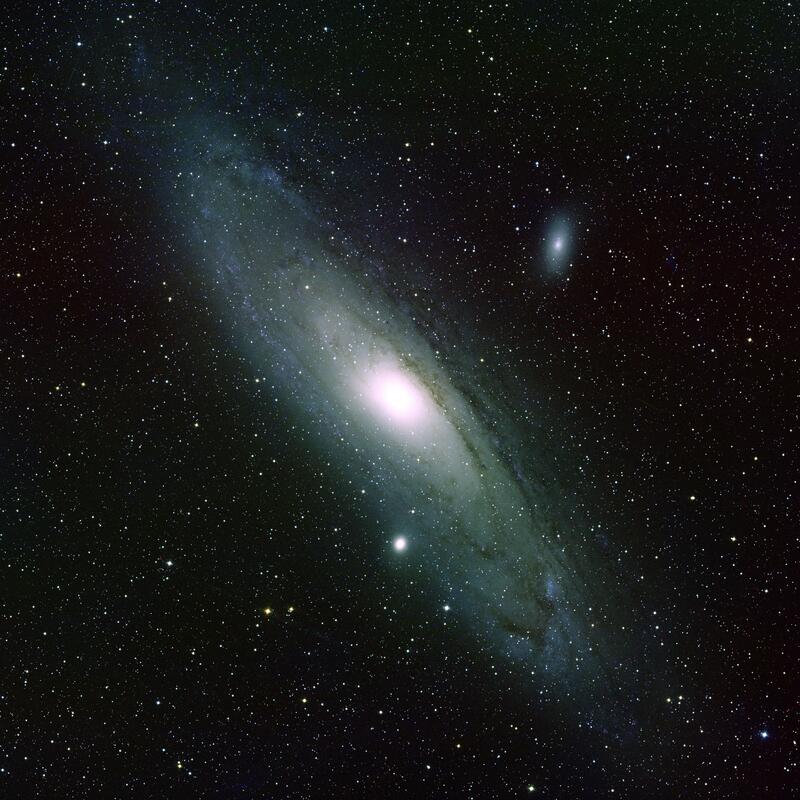 There are objects in the night sky that are a million light years away, such as the Andromeda Galaxy that are visible in even small telescopes. To put that in perspective, you can see an object that is over 6,750,000,000,000,000,000 miles from us and yet a small 60mm refractor telescope can view it given clear skies and low light pollution. The reason? Well, it is a galaxy, made up of over a trillion stars. It’s big. Real big, and fairly bright too, given how far away it is. As you can see the image is not very impressive. This standard applies in real life. If you ask someone ‘how far can you see’ when viewing on Earth you won’t get a real concrete answer as well. See what? Exactly. You could probably see a skyscraper from miles and miles away. But ask to read a street sign from two blocks away and you will be hard-pressed to even spot the sign, let alone read it. A perspective on distance can be found in the excellent cartoon XKCD, which has a comic about distances here, using a logarithmic chart. We had this question put to us so often that we ended up buying the poster to explain to customers how the Universe is sized. So the question that should be asked is not ‘how far can I see’ but rather ‘what can I see’ with the telescope. Now keep in mind when we say ‘view’, we mean view with some clarity, and some ability to recognize the object. Any cheap telescope can see Saturn, but if it just an amorphous blob through the cheap lenses what good is it? You should be able to identify that it is in fact a planet with rings around it. It might look like a cartoon of an eye, but it will obviously be Saturn. Now of course, as you improve the quality of your telescope (namely, increase the aperture of the lens or mirror) the image of these objects will increase as well. Saturn will go from being that carton eye to actually having some more details, and eventually you might make out the Cassini Division (the major separation of Saturn’s rings). Jupiter might have more bands become visible. So on and so on. We’ll start with the Muscles of the Human Leg -13 Parts Model.